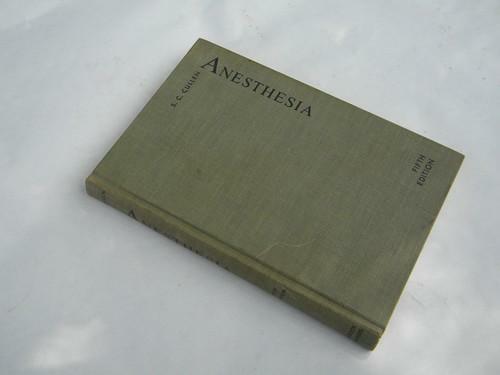 Vintage medical book... Anesthesia - A Manual for Students and Physicians - by Stuart Cullen M.D. 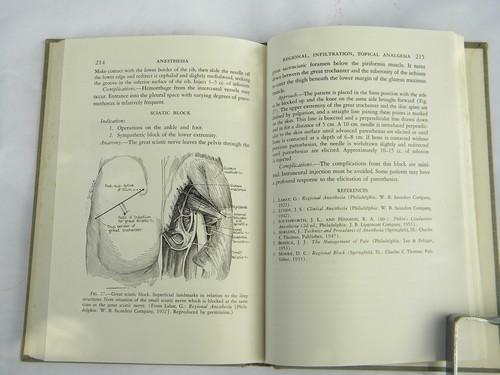 This is the 5th edition and is dated 1957. It has 295 pages with lots of photos and illustrations. 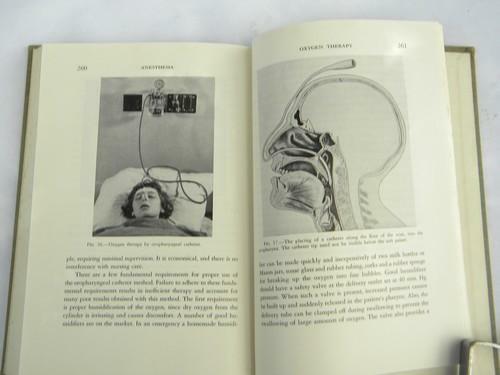 This book covers the advantages and disadvantages of chloroform, the use of nitrous oxide, narcotics and more. This is out of the estate of a dentist who ran his own dental practice for many years. There is a name on the inside of the front cover and a little minor foxing to the end papers and edges of the pages.